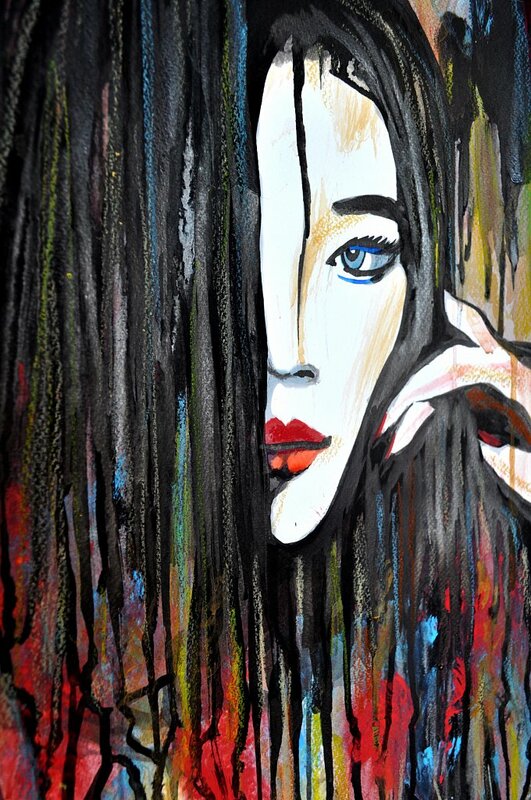 Pastel drawing 'Japanese Girl in Blue' by Alex Solodov, portrait of a girl with long hair inspired by beauty of Asian women and modern Japanese culture. 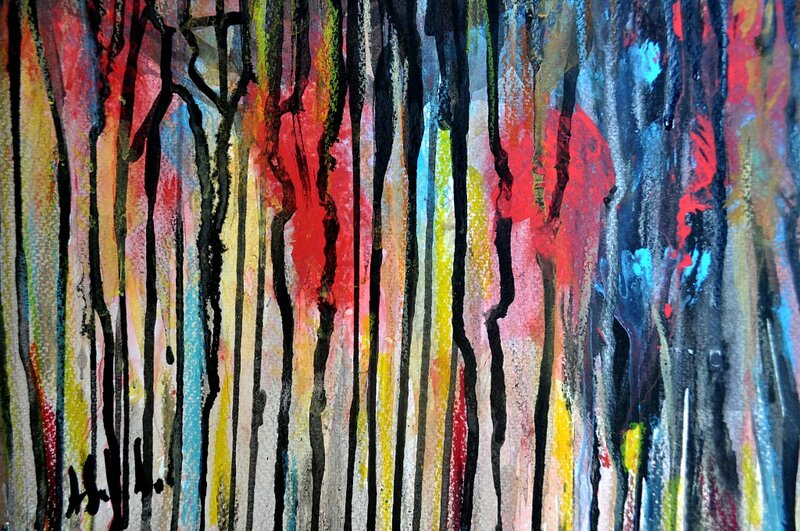 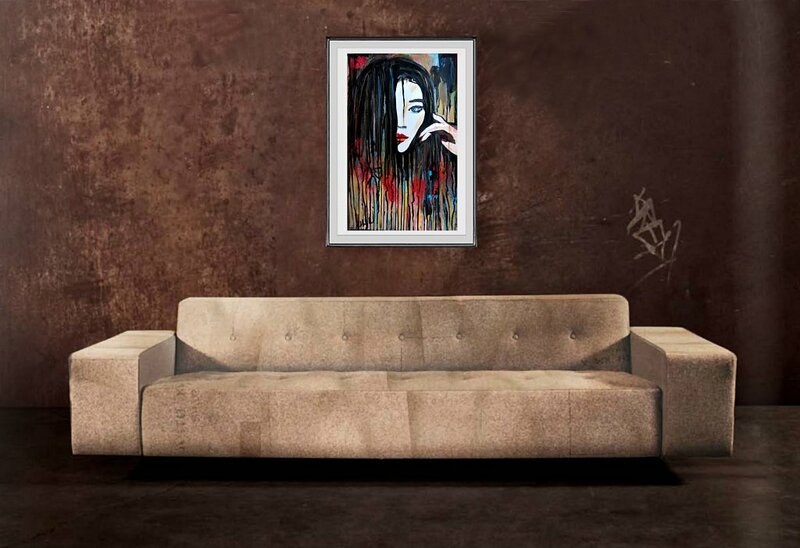 In impressionistic style. 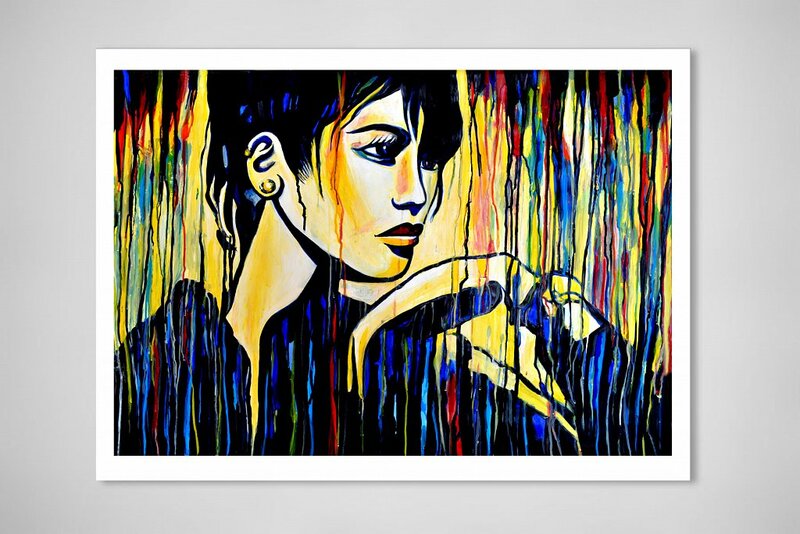 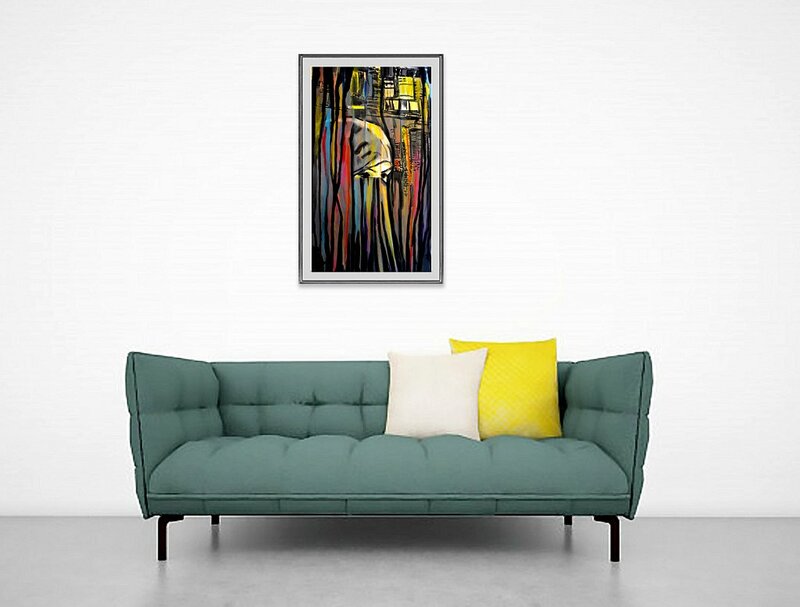 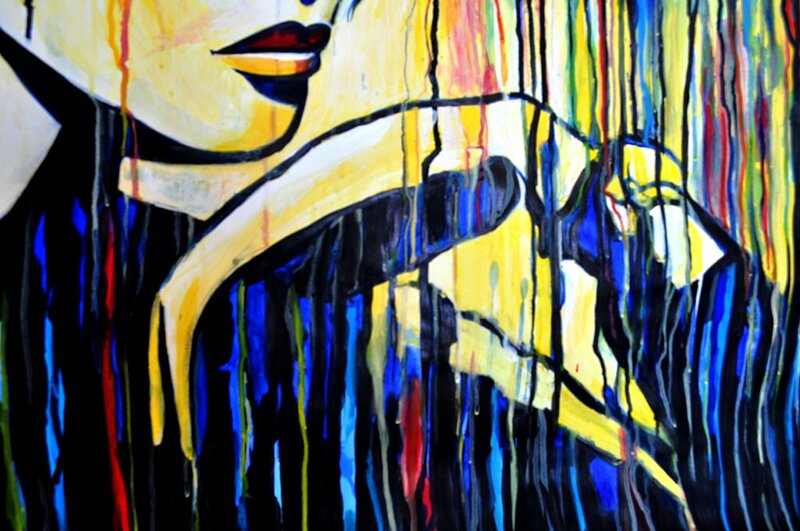 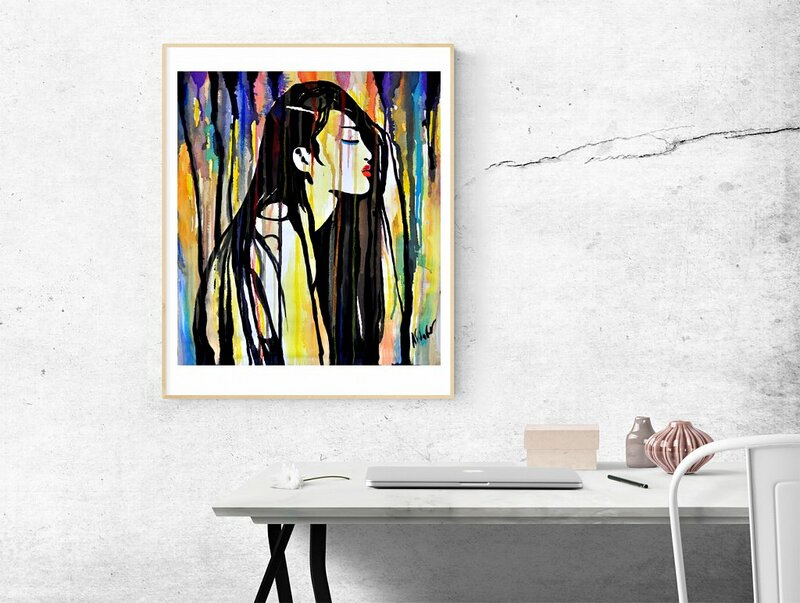 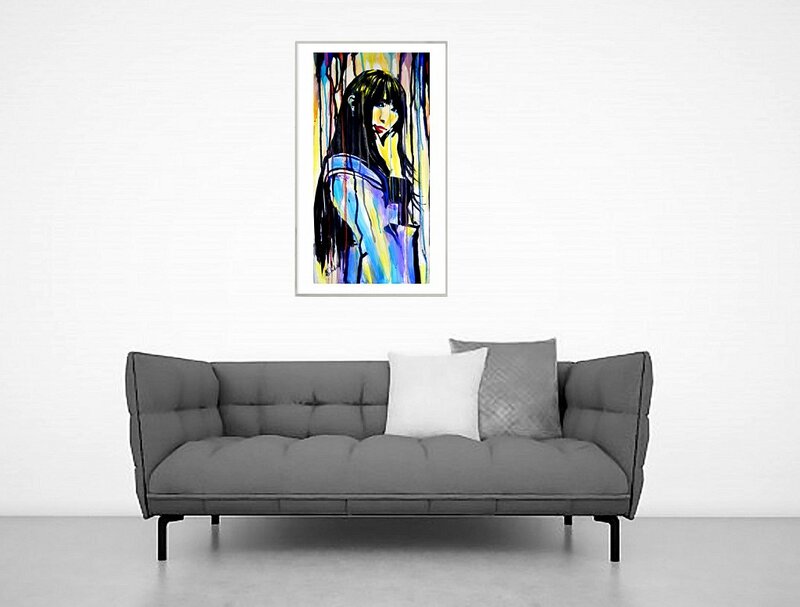 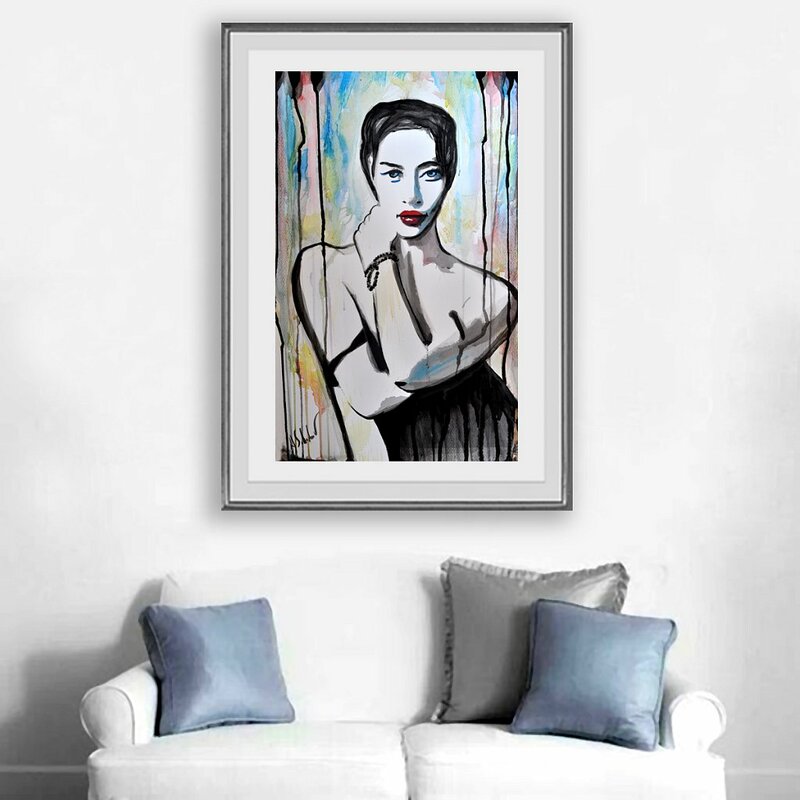 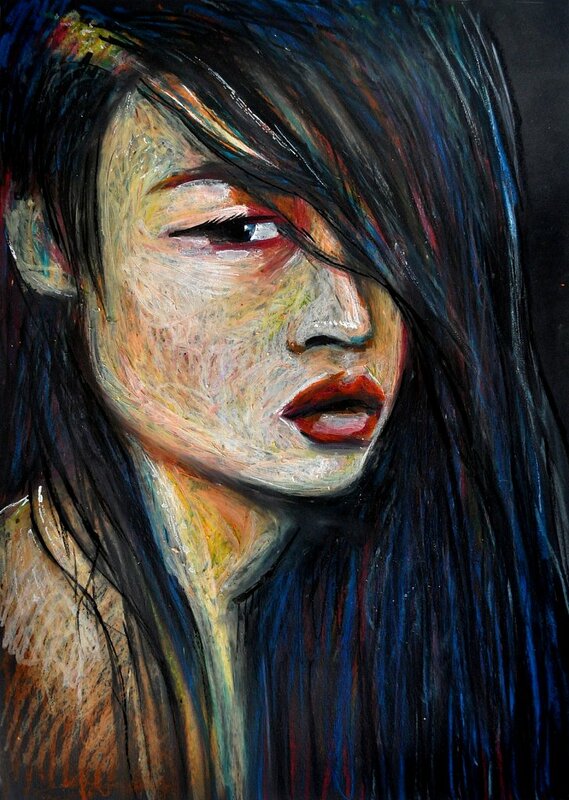 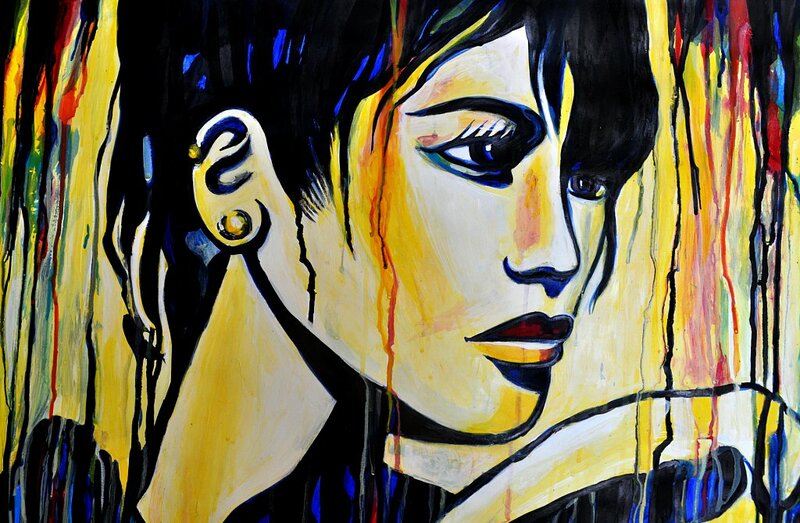 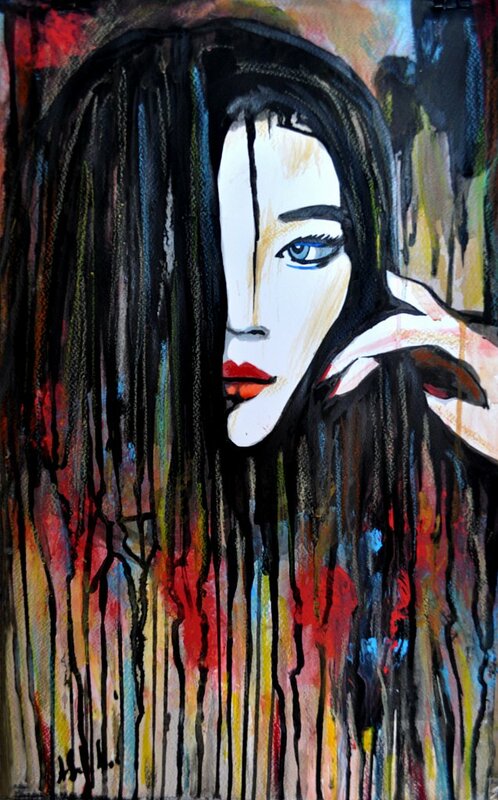 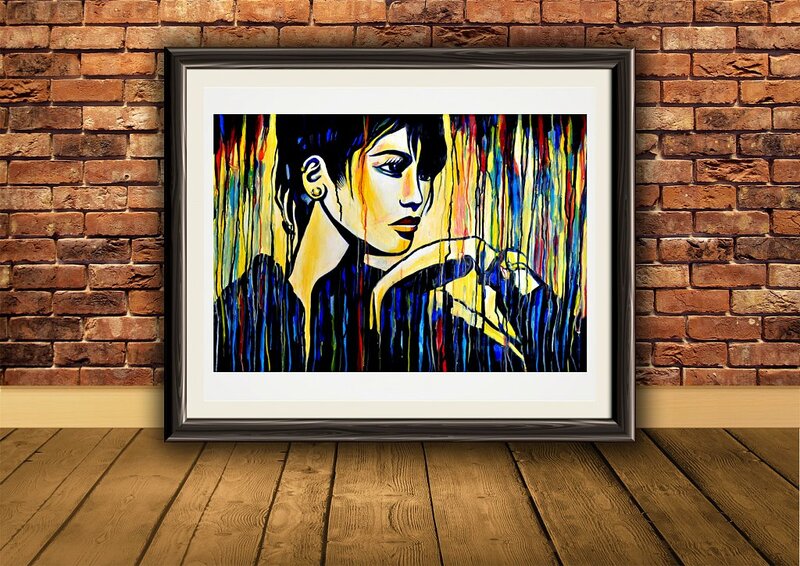 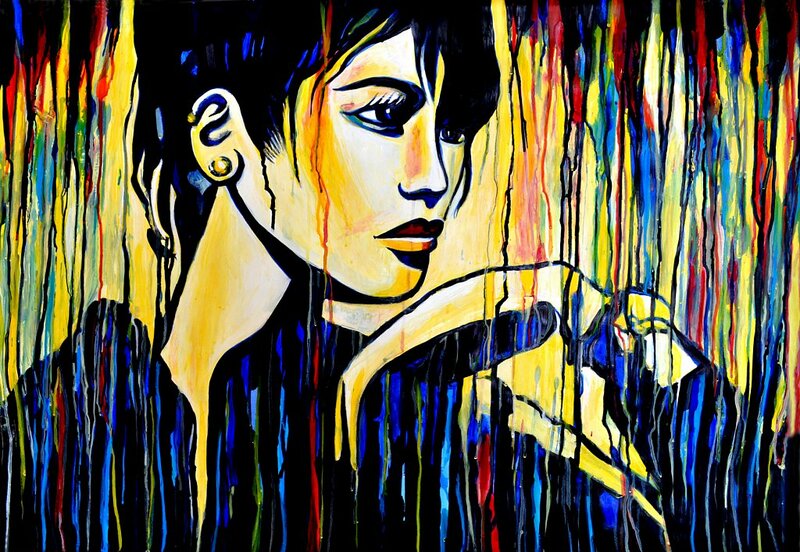 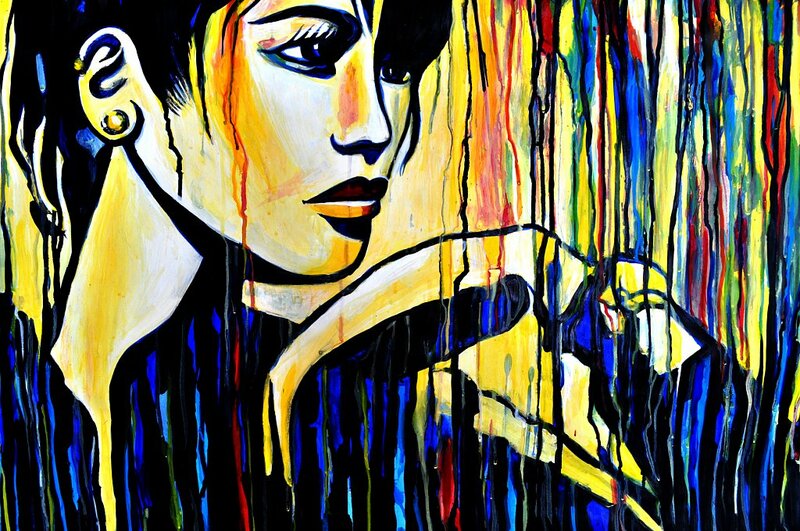 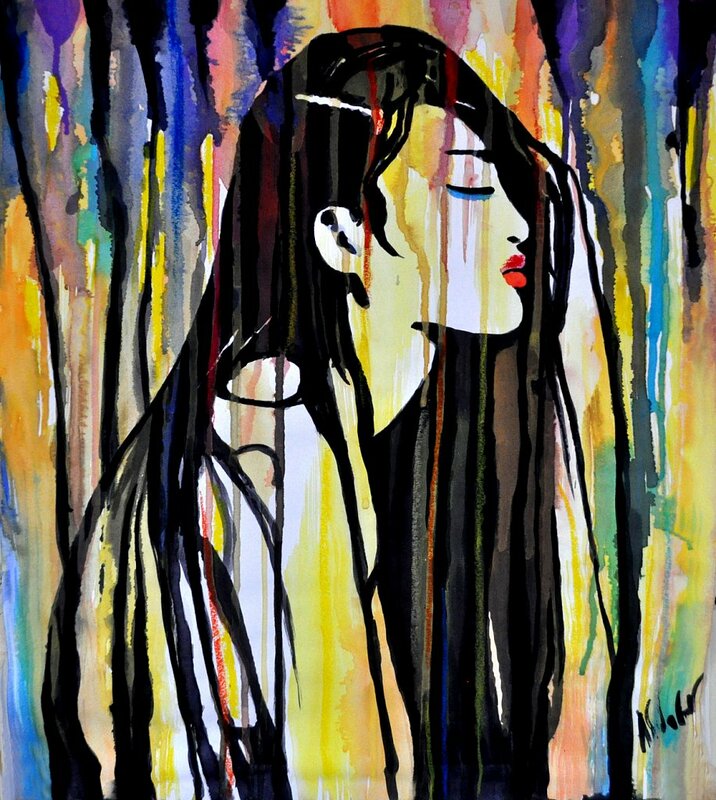 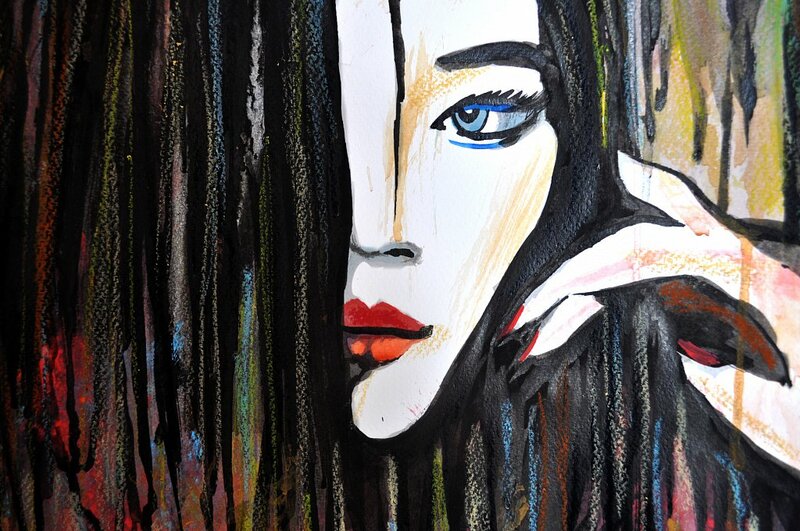 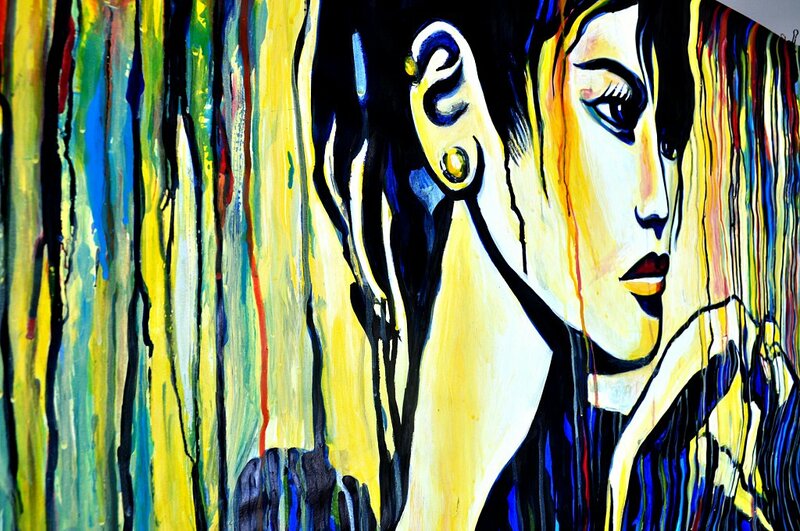 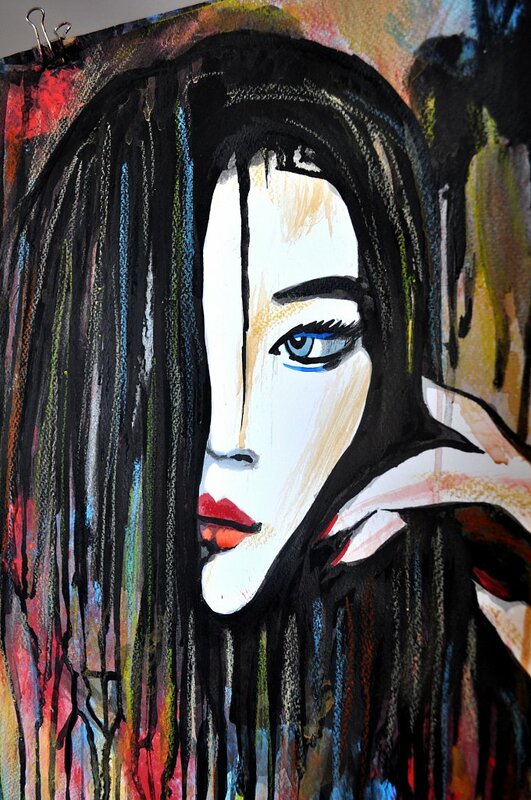 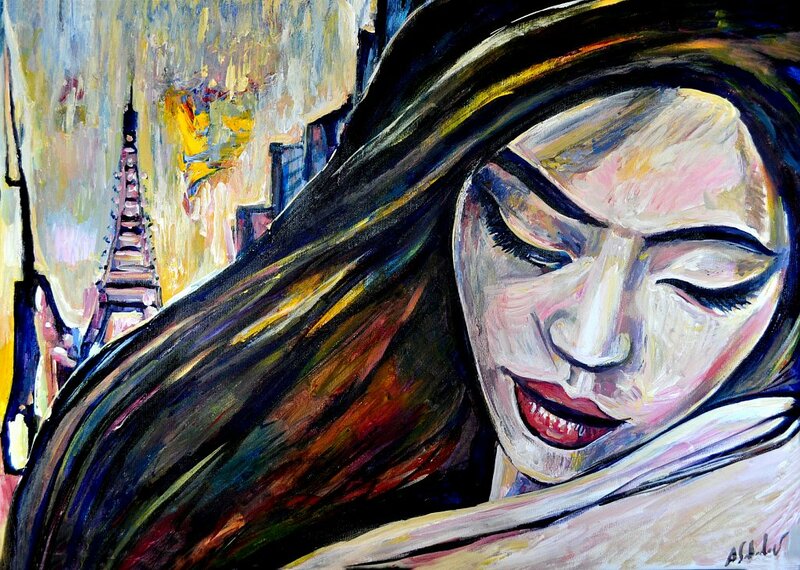 Acrylic pop expressionistic painting, portrait of asian girl model posing in profile. 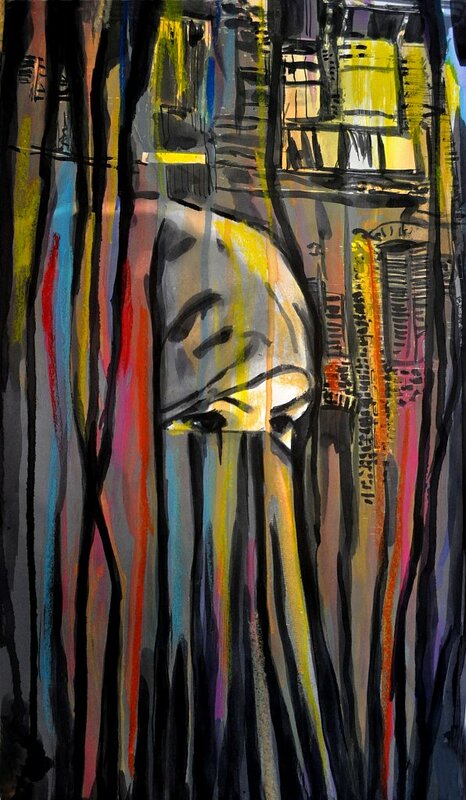 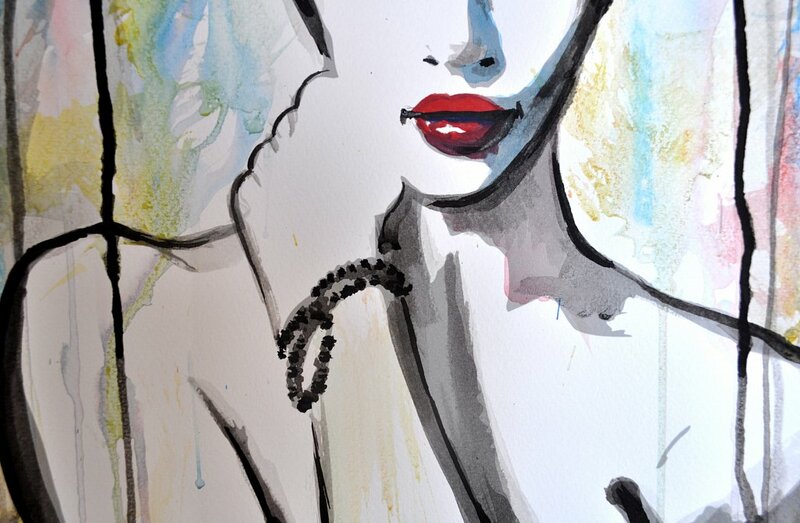 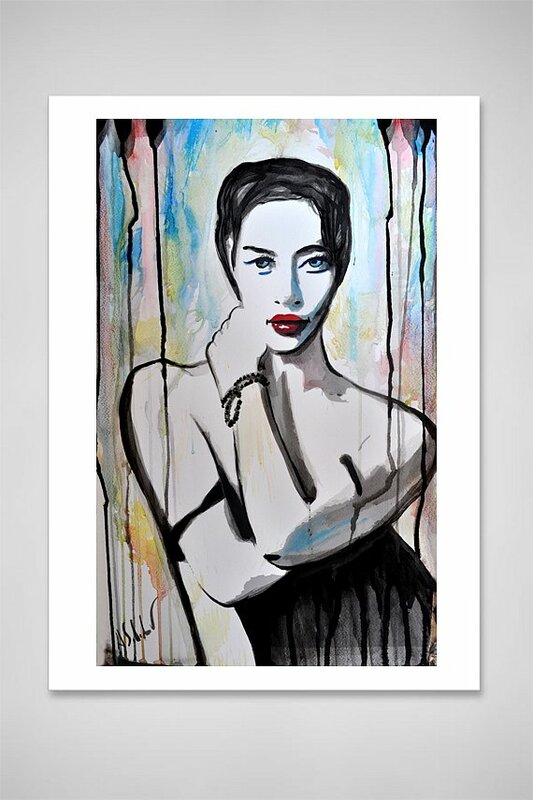 Inspired by street art and fashion photography. 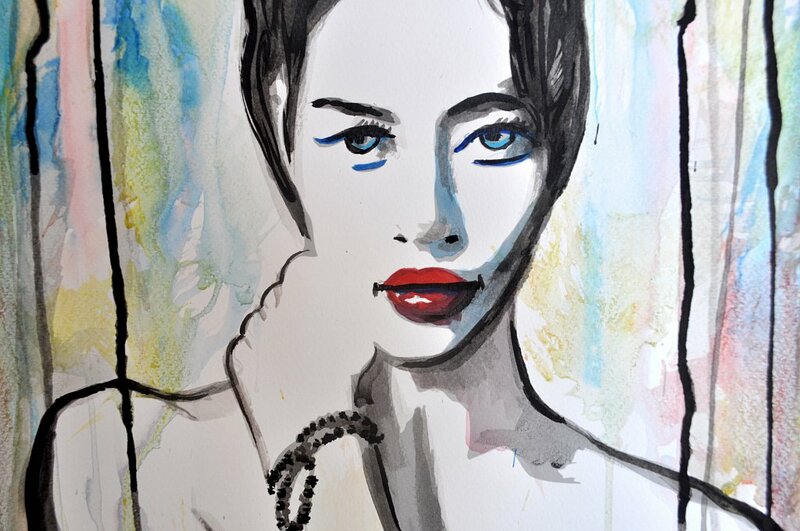 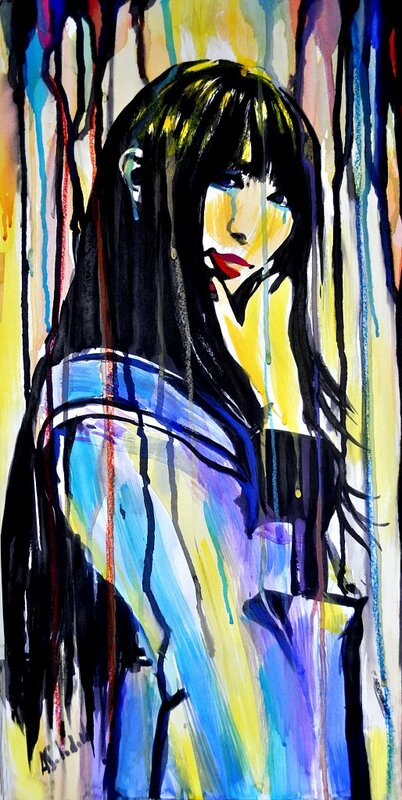 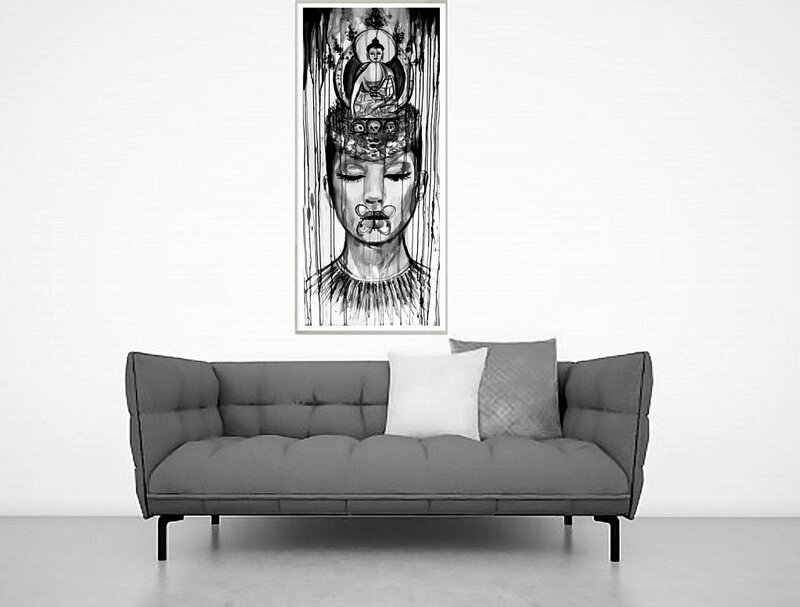 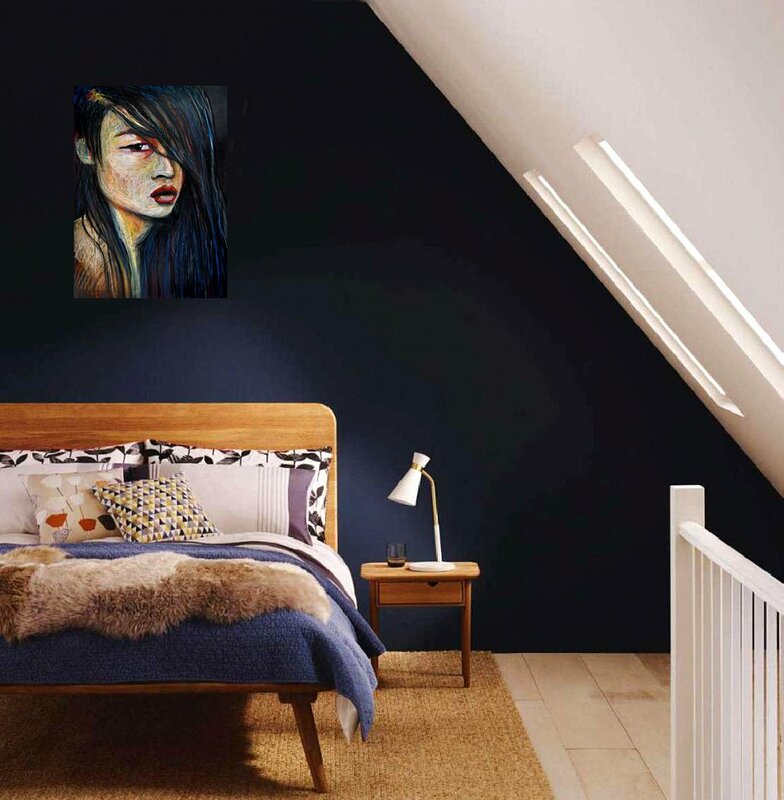 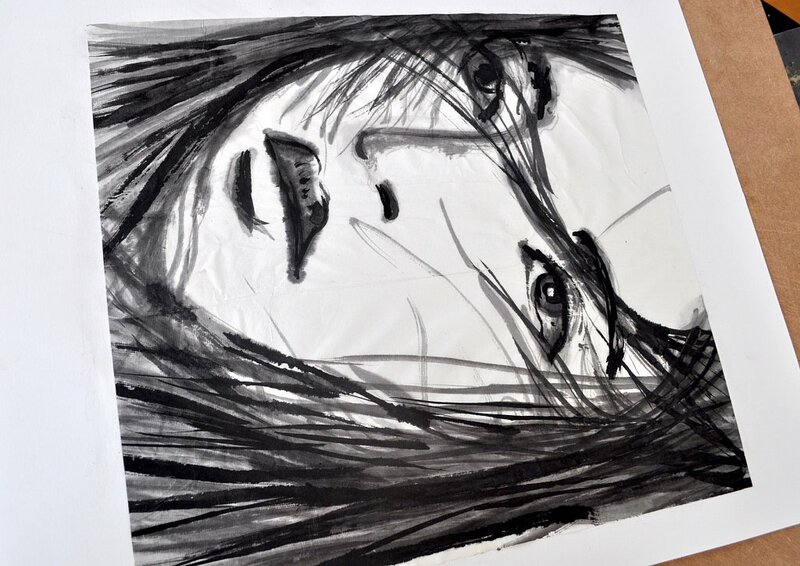 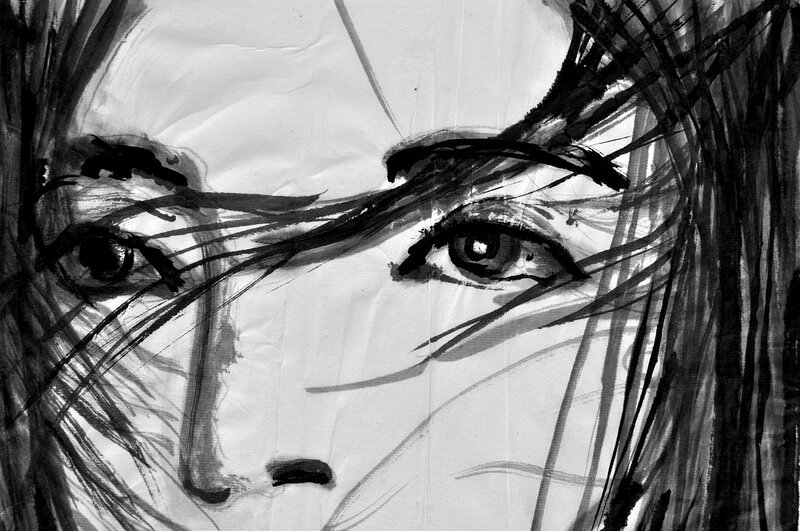 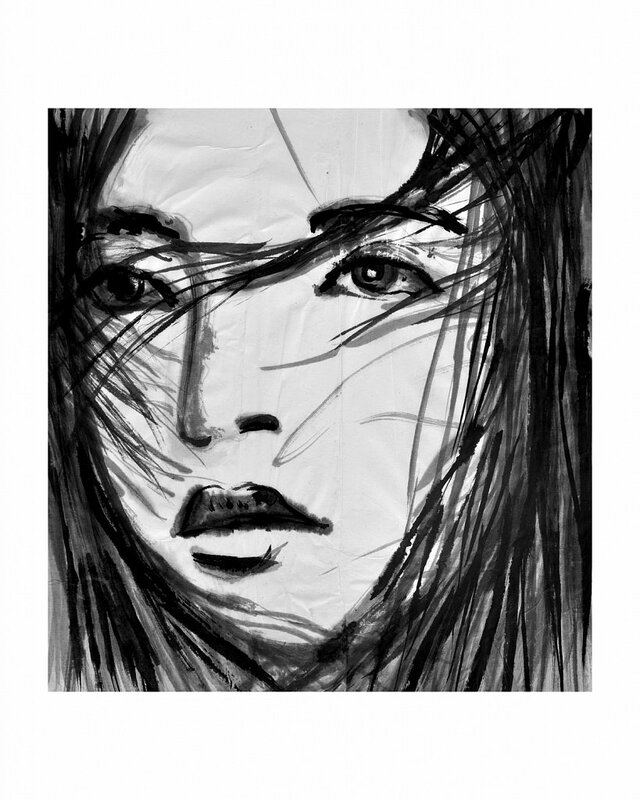 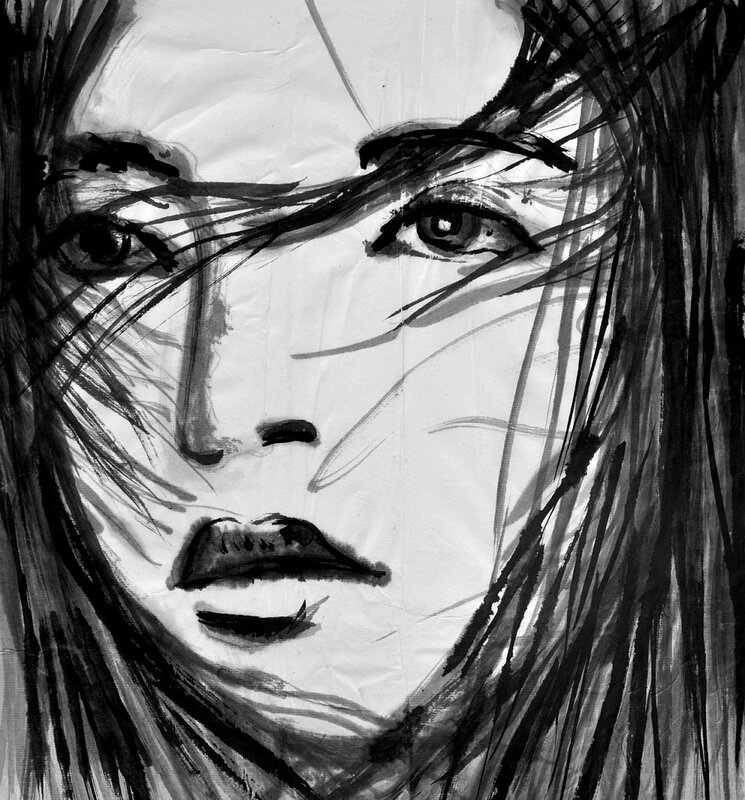 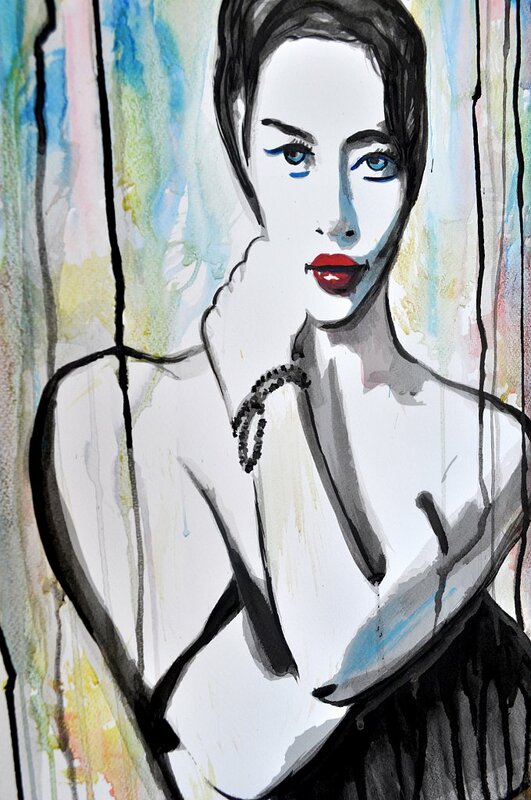 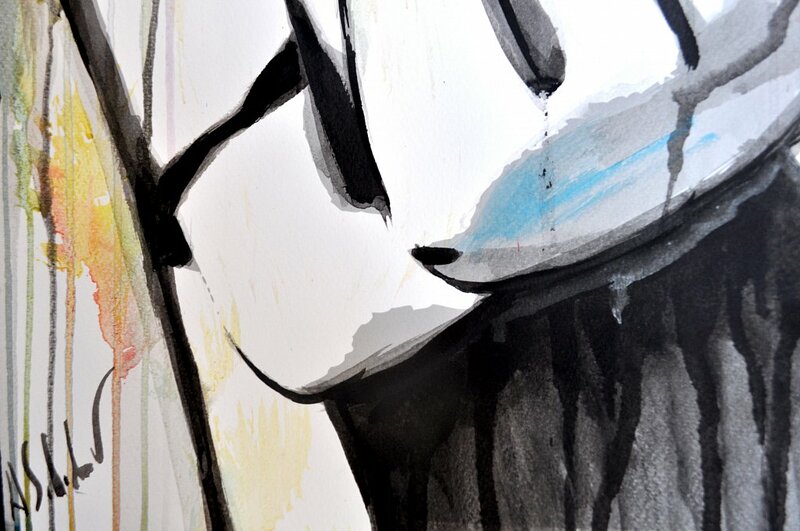 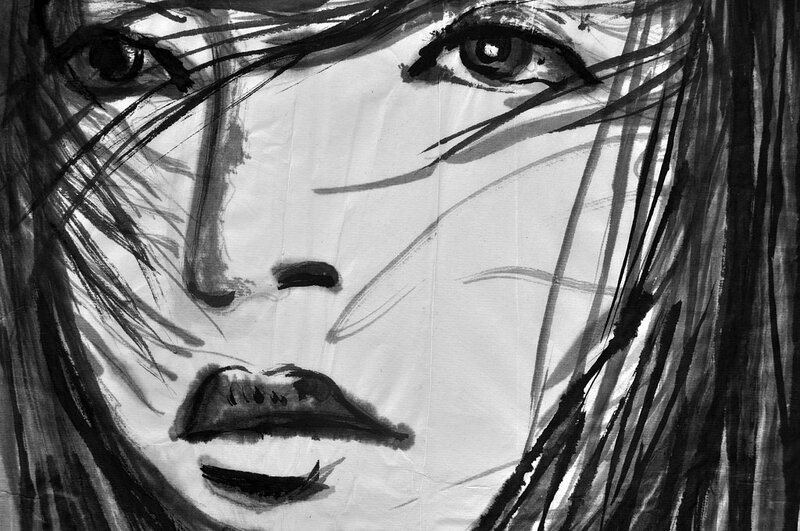 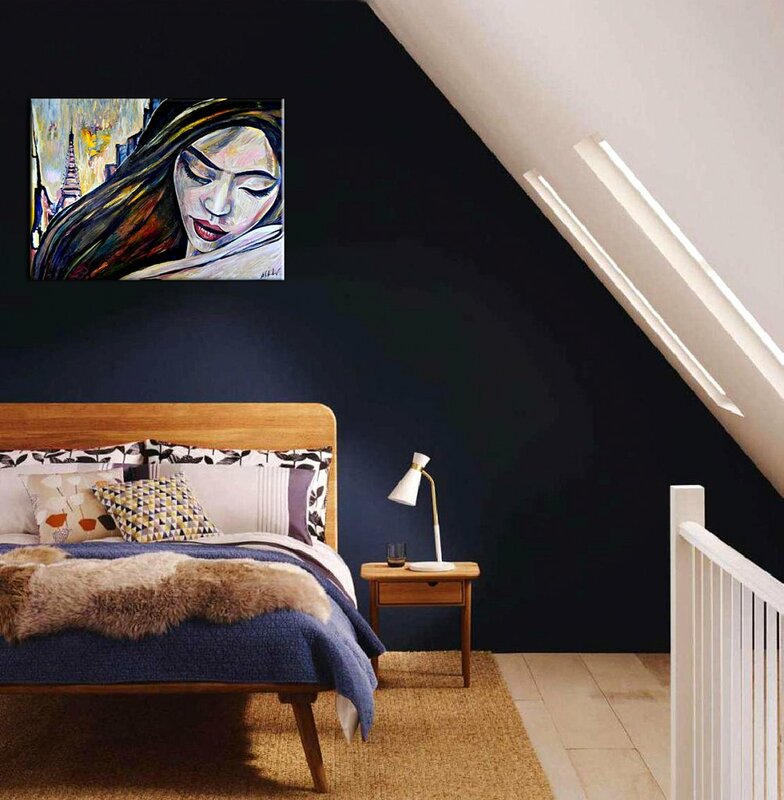 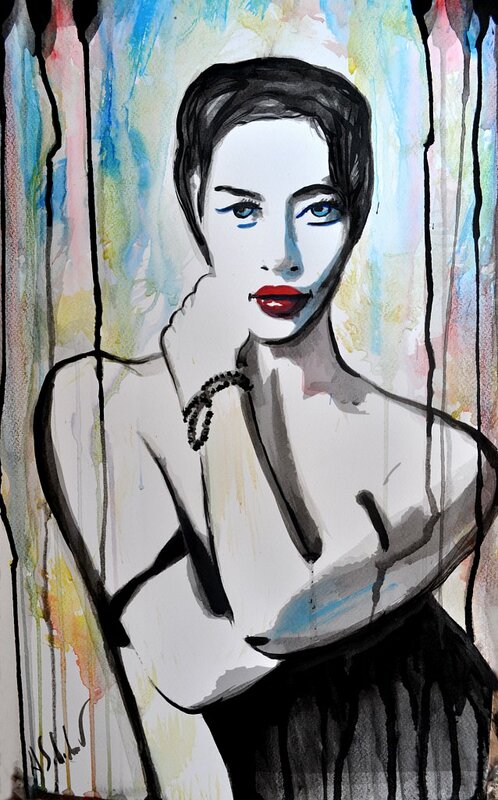 This large piece combined an image of Japanese model inspired by anime and manga with contemporary art approach.